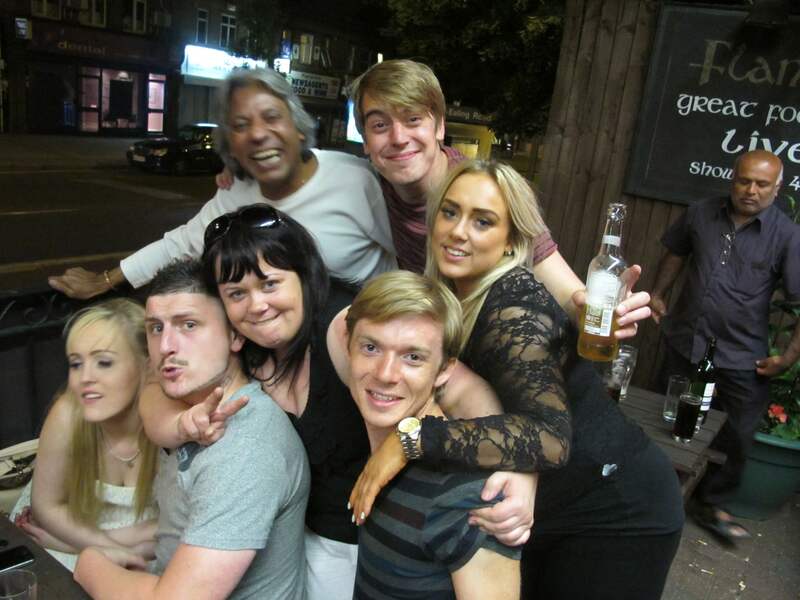 Alperton has a huge choice of curry houses but few watering holes, most of which could do with a bit of added spice. You would be forgiven for not having heard of Alperton. We hadn’t either. As the Piccadilly line shuttled inexorably towards our destination, I daydreamed of verdant meadows and rustic country pubs. The reality? Ealing Road. We opted to turn right out of the station and head south, discovering a land where outsized retail stores stood opposite cramped suburban terraces. We crossed the Grand Union Canal (the longest in Britain) and the river Brent, finding three pubs along the way. These were all pleasant enough, if somewhat innocuous: The Pleasure Boat (starting their ‘disco night’ at 8pm to an empty room), Tommy Flynn’s (main meals for under a fiver) and – the best of the three – The Fox & Goose (a Fuller’s featuring a book-swapping corner and an award-winning beer garden). 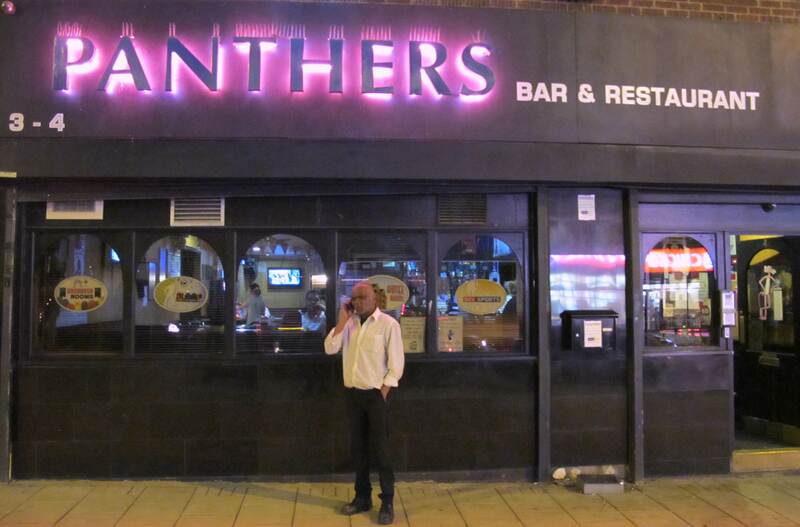 By this point we’d blundered all the way to Hanger Lane tube station, so we retraced our steps to Alperton and before long the pink neon sign of Panthers sizzled into view. We entered to the irrepressible sound of Bollywood, and the cobwebs of the evening’s earlier pubs were blown away in seconds. Here was somewhere that offered an authentic taste of the area, and had a decent patronage to boot. We could happily have stayed longer, but the night was young and we dreamt of excitement further north. As it happened, we had to traipse all the way to Wembley before sighting another public house. Passing many tempting Indian restaurants on our drinkless trudge northbound, we regretted the economic pub grub back at Tommy Flynn’s. As was the case with Aldgate, it was a shame that we had to leave the locale of our chosen tube station to prolong our night out, but our excursion to Flannery’s Bar in Wembley was rendered a memorable and bloggable experience by certain shenanigans of which I shall now relate. As we savoured a beverage outside the pub, our ears were treated to the lilting tones of two women singing along to their iPod at a picnic bench close by. Before long a middle-aged Indian man with the gruffest voice imaginable joined in, and he soon beckoned Andy over. Not willing to be left out, I awkwardly followed. Upon ending their song, the girls demanded that Andy and I perform something to the small but insistent gathering. Andy eventually launched bravely into Don’t Stop Me Now, which went down rather well, whereupon I segued into an enthusiastic rendition of By The Way, with somewhat less success. But no matter, we were now part of the family. Music brings people together, man. Seconds later, a muscle-bound boyfriend arrived with a tray of shots that looked, and tasted, like Calpol. 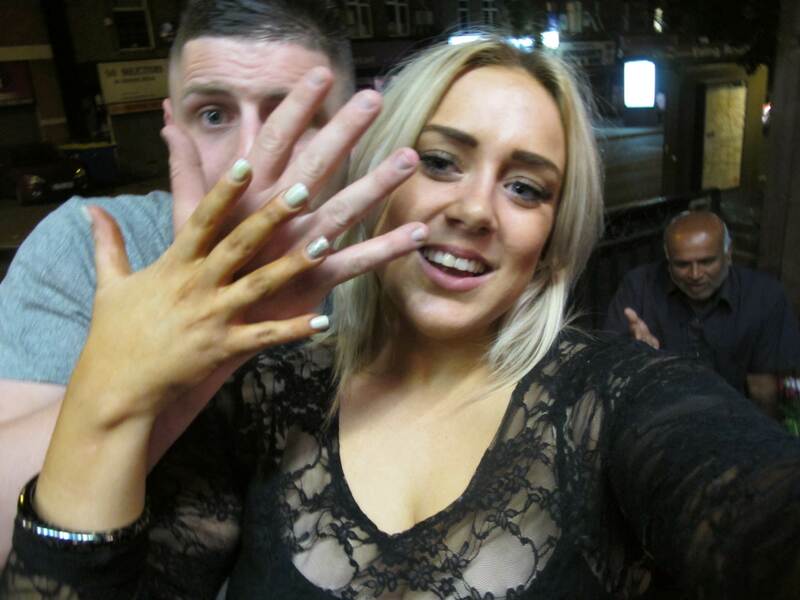 He enjoyed discussing the fact that, due to an over-enthusiastic application of spray tan, one of the singers had hands of a very singular colour. (He referred to her affectionately by a nickname that rhymes with ‘wit lingers’.) The girls thought we were “posh boys” and informed us we lived in Chelsea. “Actually, I’m from Putney” I demurred, which only served to encourage their jibes. When Andy innocently told a rather drunken older lady that he lived near Kingston, a “lovely area”, her eyes narrowed as she slurred with venom “don’t patronize me”. The poor dear.